Why are they raising their hands? 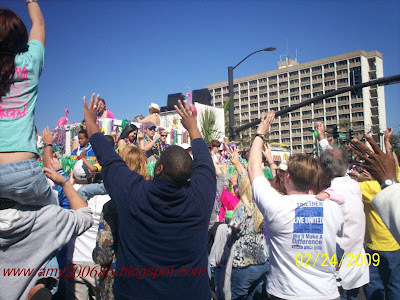 They are cheering to the people on the float to throw them some beads. 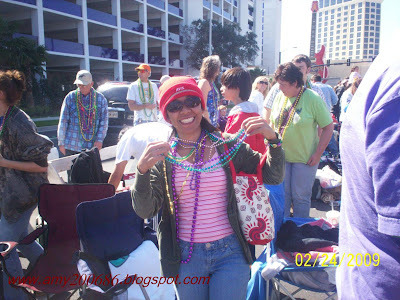 Yes, this time I know how to catch more beads, cheer to them...LOL! The floats was really nice but, I wanted to capture the cheering crowd too. They shout, " Give me some beads!" And I said, "Right Here! then , they throw it to me. LOL! I hope people knew how to raised their hands like this in praising God. Was just thinking that now by looking at these pictures. The reaction of people here is the same in Charismatic Group when we praise God for joy and surrender. After all, this celebration really is in preparation for lent season. Merry making prior to fasting for lent. A float decorated with Asian and beach designs. 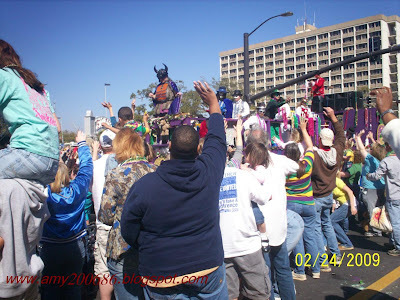 This parade is the end of Mardi Gras Season because tomorrow is Ash Wednesday. We had a grand time in Biloxi, Mississippi today. 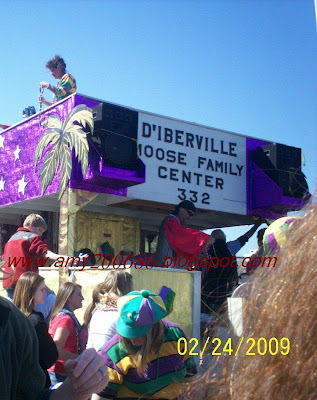 The Mardi Gras Parade is long and the floats were very artistic and beautiful. We stayed in front of Hard Rock Hotel and as usual, people came with family. 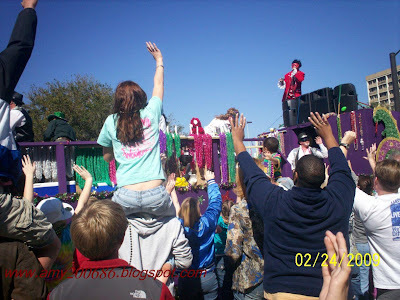 I catch so much beads this time than the other 3 parades that I witnessed.